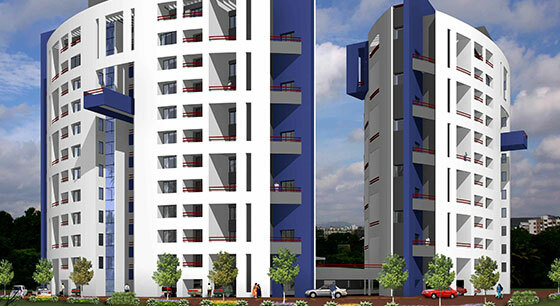 Total Plot Area : 16180 sq mt. 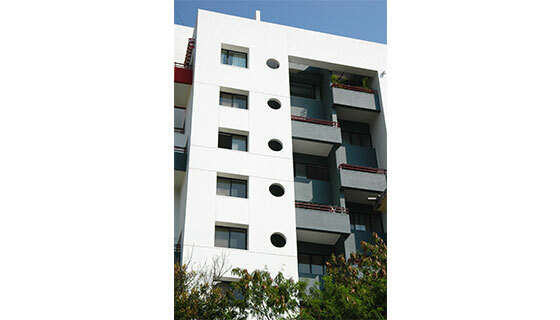 Total Built up Area : 6580 sq mt. 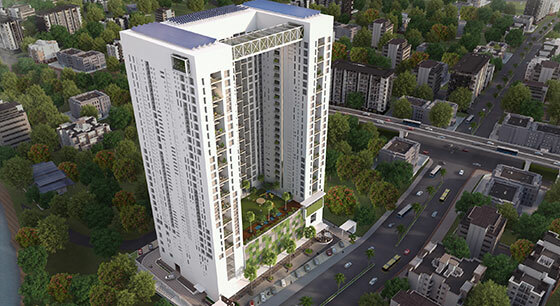 This project, composed of 2 and 3bhk apartments, sits amidst the strong cultural heritage of the iconic “Lal Dewal” Synagogue. 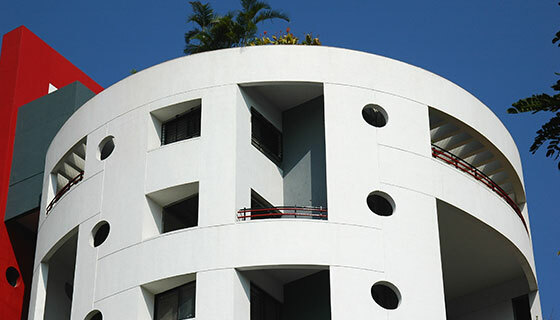 The built mass was conceived, such as not to overshadow, but to complement the stunning piece of Architecture. 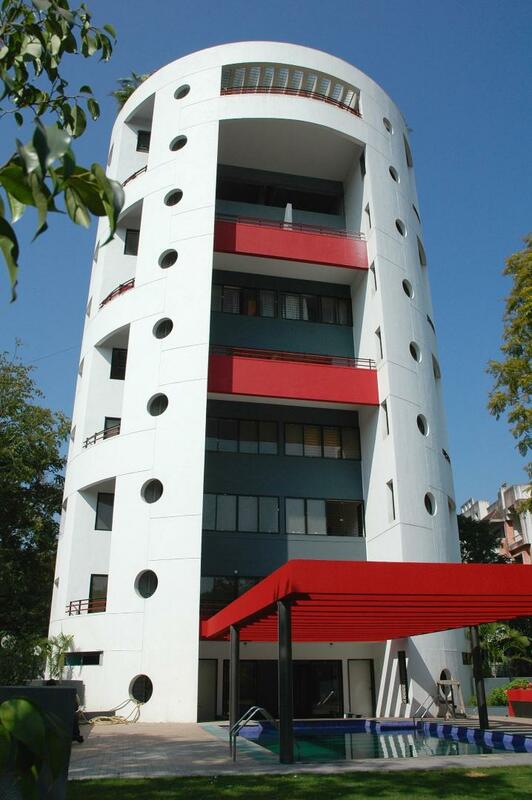 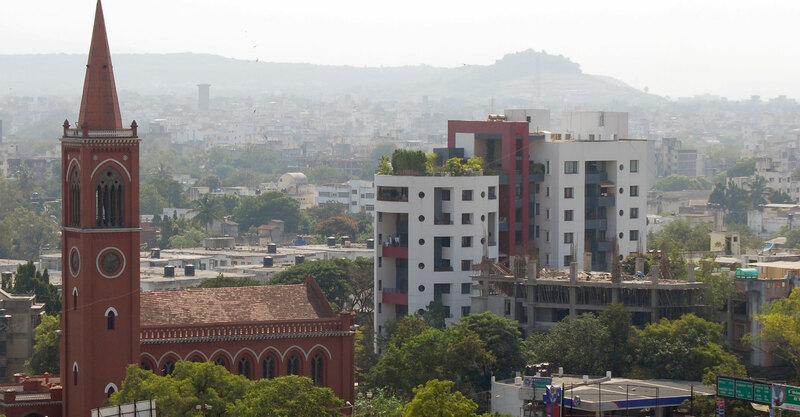 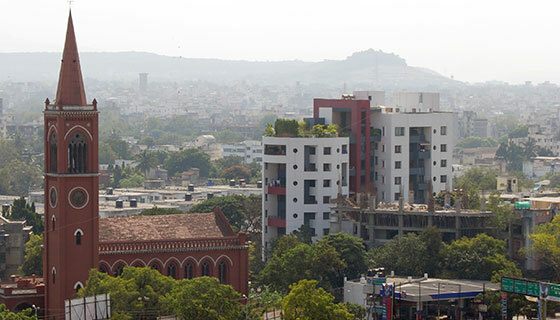 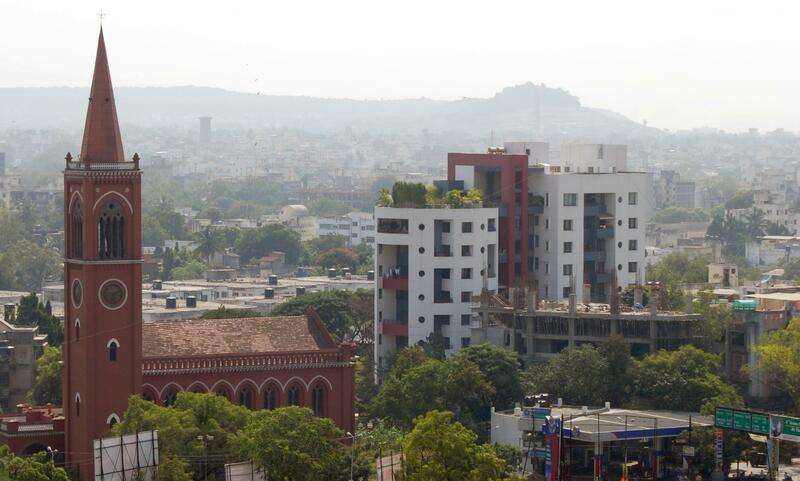 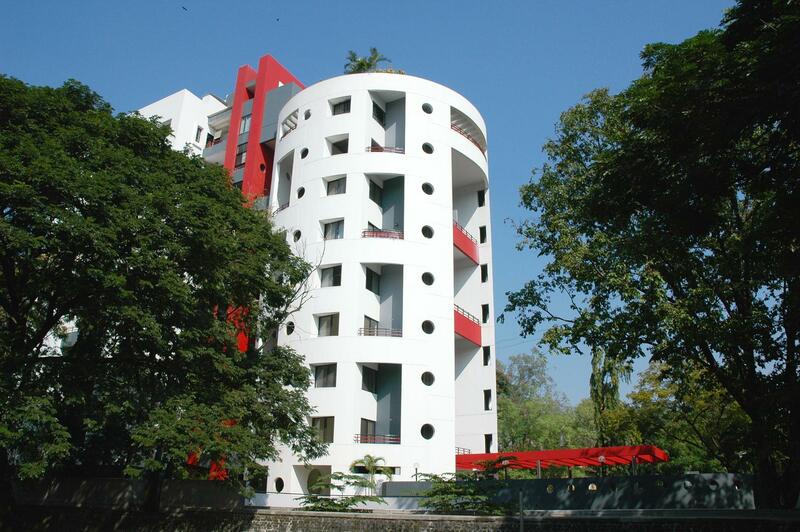 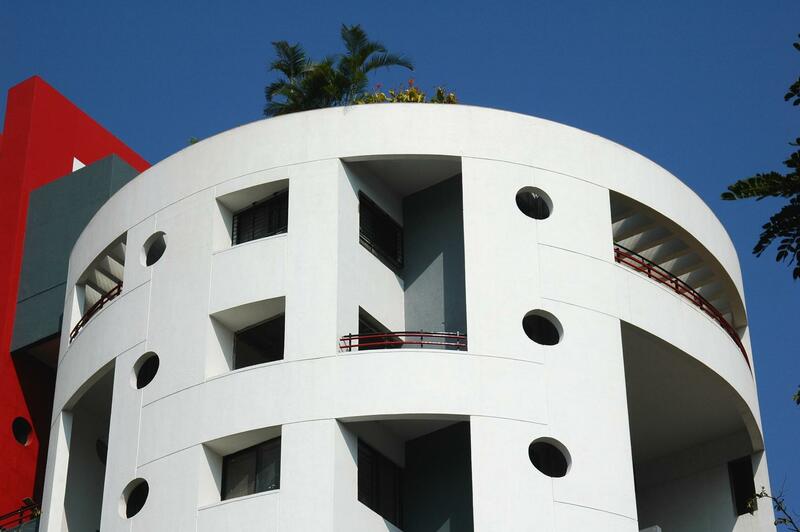 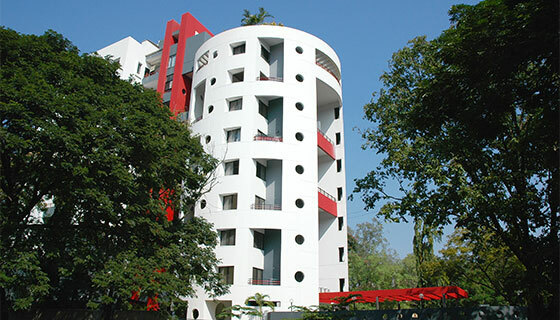 The building is composed of two blocks, a cylindrical 2BHK apartment block, and a cuboidal 3BHK apartment block, both connected through a central circulation core. 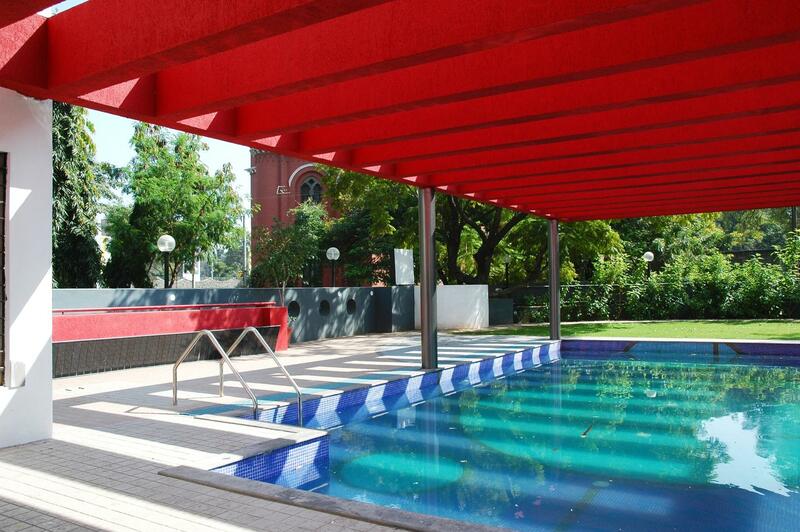 To the front of the complex, at the ground level, the recreational areas provide opportunities for sports and social gatherings. 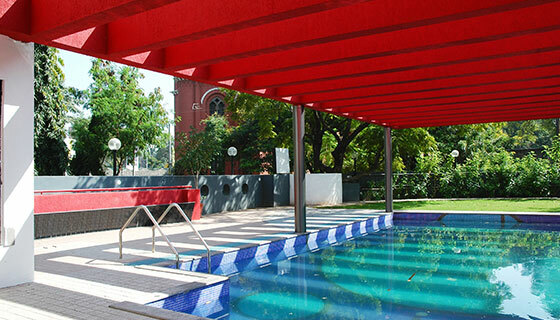 A swimming pool, shaded by a red pergola structure, allows leisure space for the families residing in the apartments above, while a party lawn and deck allow a segregated zone for community events and functions. 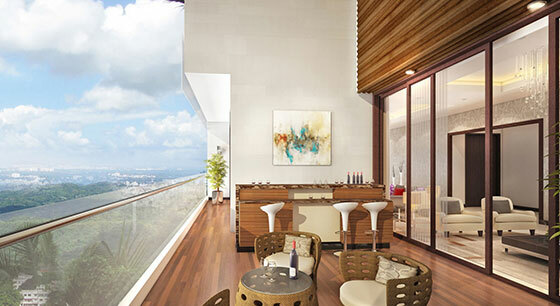 Inside the building, 2 and 3bhk apartments are designed with main living areas overlooking private open terraces. 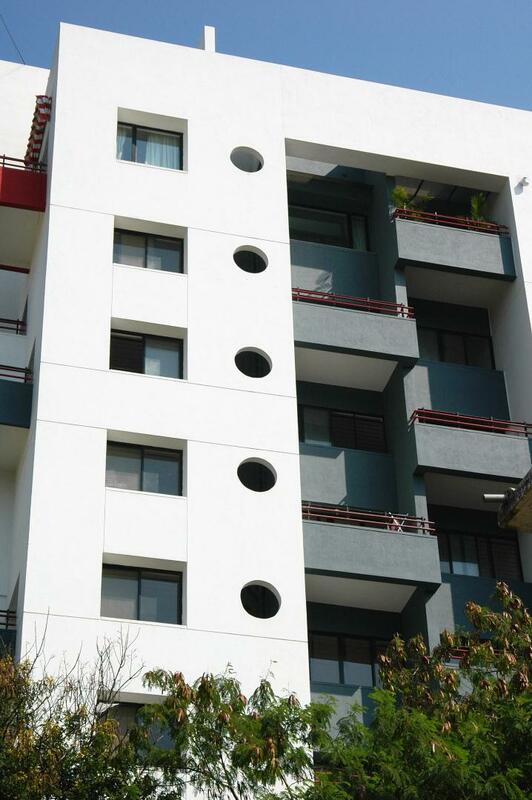 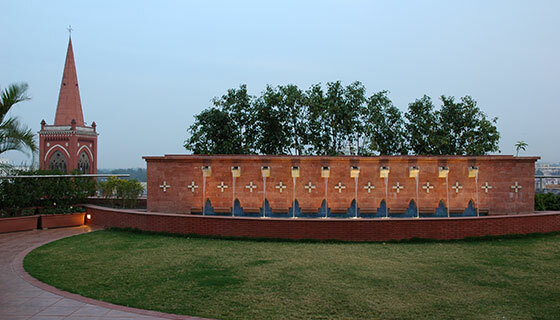 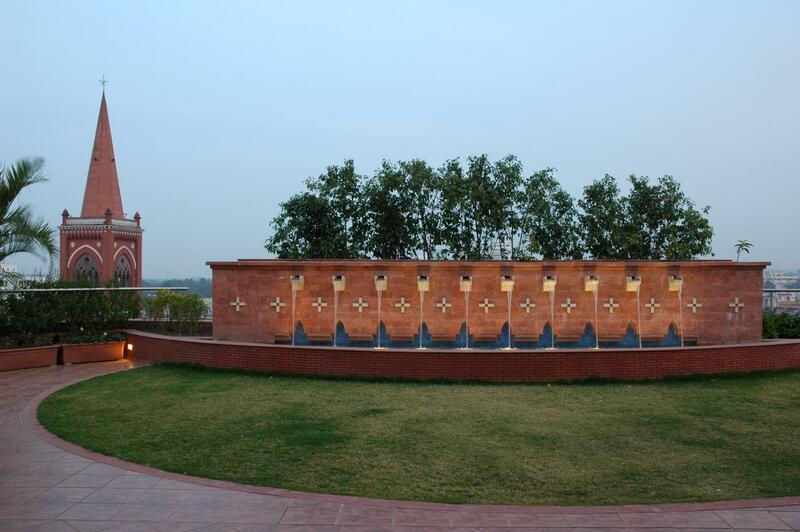 The 2bhk flats are designed to allow conversion into large 4bhk flats when needed. 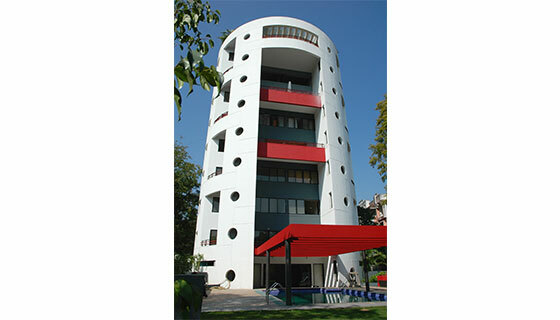 The building houses two parking floors, providing essential vehicular parking for all inhabitants and visitors, of the complex across the nine residential floors; additionally, supported by all modern amenities and services.